A week from today I will be in Germany on a long planned social / photography trip. The social part is visiting friends — a long time coworker who moved with his wife to live and work in Berlin a few years ago. The photography part is, well … It’s Berlin. While my friends are working I will take full advantage of all that the Berlin area has to offer for photography geeks like me. Already booked is a day with amazing photographer, Luis dos Santos. Do yourself a favor and check out his work here. Luis has also sent me a list of suggested shooting locations, including some wonderful modern architecture, some retro architecture and some funky industrial stuff. I am totally pumped for this trip! But on the down side, I may have to put the daily posts on hold during my trip. I will make every effort to post something daily here on the blog and on Facebook, but I cannot guarantee success. What I can promise is that I will back-fill the blog with an image from each of the days I am gone. So I started organizing my gear tonight for the trip, which brings me to the image. I bought a new toy a few weeks ago – one of ThinkTank’s new hard cases. I looks to be the perfect case for traveling with a lot of gear. Built to airline carryon dimensions and lockable (locks not included) for checking in. I bought is here (no, I’m not an affiliate). 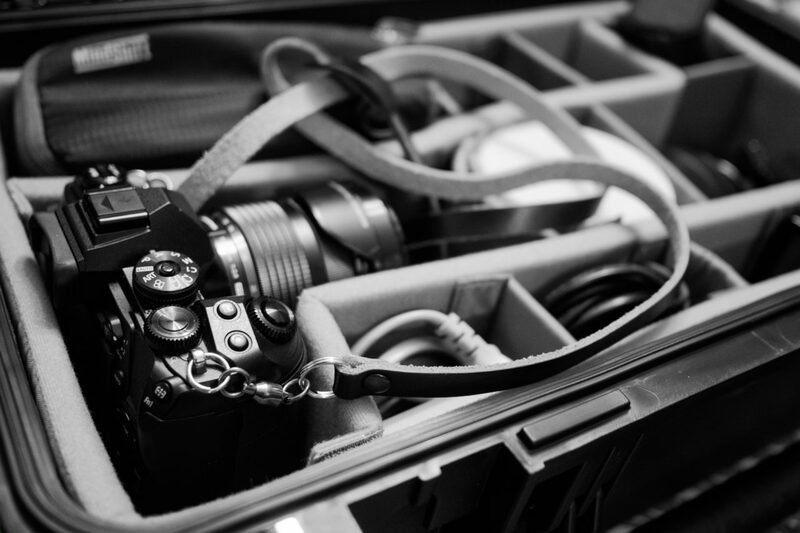 It is the perfect size to carry a ton of my Olympus gear and an array of accessories. I’ll update this post with the full list before I leave.